Welcome to Shadows in the Dark. ATTENTION CUSTOMERS: Orders placed between April 29 - May 2, 2019 will be delayed. Orders will be processed on May 3, 2019. Shadows in the Dark was founded in 1996. We specialize in providing services for the blind, and visually impaired. Offering a great selection of Braille Cards, Braille Playing Cards, Braille Services, and Gift items. We are able to supply independent retailers with a selection of gifts wholesale direct with no minimum order requirement. When you need business gifts, personal gifts, fun novelty items, home decor gifts or fresh seasonal merchandise. Feel free to shop with us at shadowsinthedark.com! Do you need a card for a Birthday, Anniversary, Get Well, or other type of holiday? At shadowsinthedark.com we can provide that very special card for your friend or loved one. Each card is hand crafted for the extra personal touch which includes a Braille picture design and with your very own personalized message in both large print and Braille. 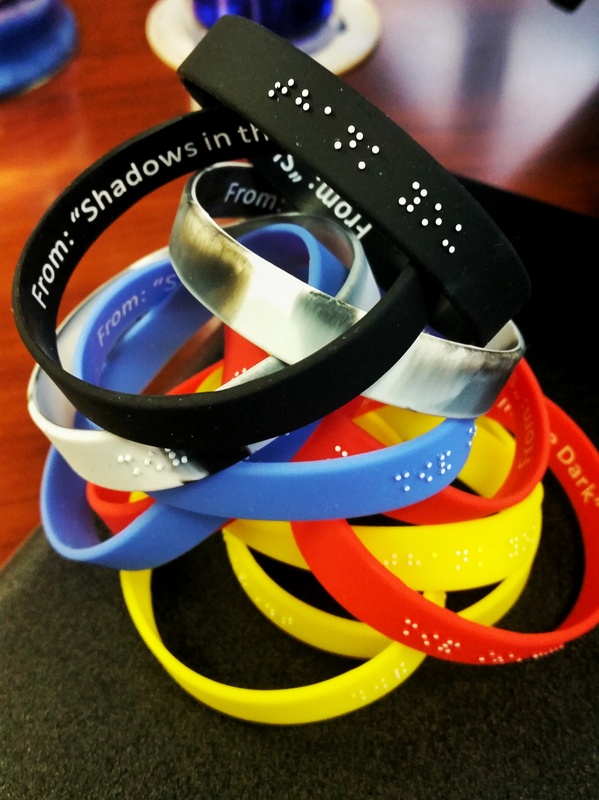 Have your organization accessible for everyone when handing out a Braille business card. Most important, this also sends a positive message to a blind or visually impaired client(s) and how they will view your company when handed a card they can read independently. Space available on business cards are limited to the following: thirteen characters and spacing per line and up to four lines per card. We can place names, phone number and email address if able to fit within the limited spacing. Some of our satisfied clients include: Colleges, University's, Non Profit Organizations, Yahoo, Dell, Coca-Cola, Military Organizations. Whether your gift is for Birthdays, Anniversaries, Christmas Parties, or for collecting, you can count on Shadowsinthedark.com to supply you with a great selection of merchandise at competitive prices. Register your account and send email request to: request@shadowsinthedark.com Once your account is set up you will be able to enjoy great Wholesale pricing to make great profits for your business or Non Profit Organization for Fundraising events. International orders may require additional shipping cost. Please read our shipping policy page before ordering for International orders!